When Aaron Hanson began his degree in biochemistry at the University of Minnesota, he thought he’d end up going to medical school like everyone else. He had no inkling that he would be opening his own brewery in Sandy. Hanson owns Bunsenbrewer, a brewery and tap house that opened Dec. 30. The brewery is at 16506 S.E. 362nd Ave. across from the Sandy Fred Meyer. Hanson, 33, of Sandy, began self-brewing as a hobby in college. As a chemistry enthusiast he was immediately drawn to the science of it. After seeing his wife, Ryan, go through her medical residency during his college years, he decided it wasn’t for him and that one doctor was enough in their family. After his wife got a job in Welches, Hanson moved here and started shopping around for the right space and designing his dream brewery. Bunsenbrewer is a science-themed brewery with a 1.5-barrel system that is completely computer controlled. Hanson says his system is incredibly small for a commercial brewery, but intentionally so. It was the largest all-electrical system he could have built. 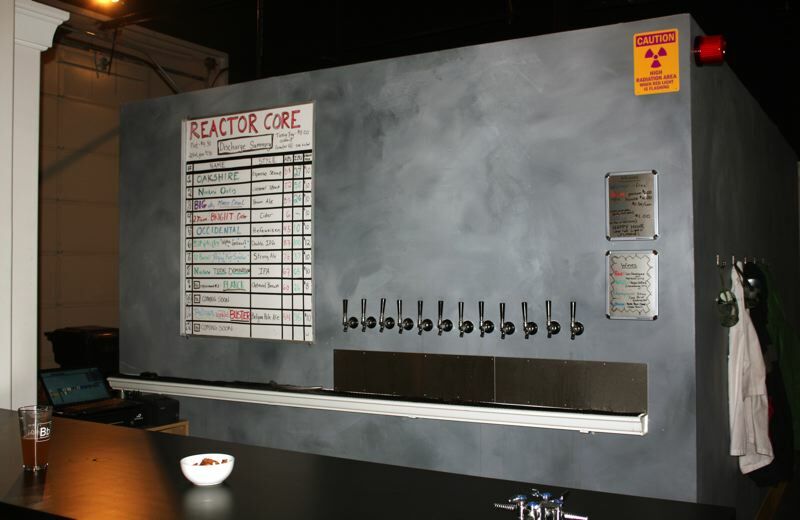 by: POST PHOTO: KYLIE WRAY - Bunsenbrewers science theme boasts a reactor core that dispenses beer and hand-detailed glasses featuring the breweries logo. called Event Horizon. Most of Bunsenbrewer’s beers are named after scientists. To Hanson each beer is an experiment. He plans to take each one and evolve the recipes over time, taking into account feedback from customers. He hopes to introduce his second batch of Planck very soon so customers can taste the evolution and see how it’s better. In keeping with the science theme, Bunsenbrewer features a sound lab, where guests and bands can play music, enjoy the test tube table decorations and drink from handmade 20-ounce glasses that feature measurements up to 1 pint and the Bunsenbrewer periodic table-inspired logo. 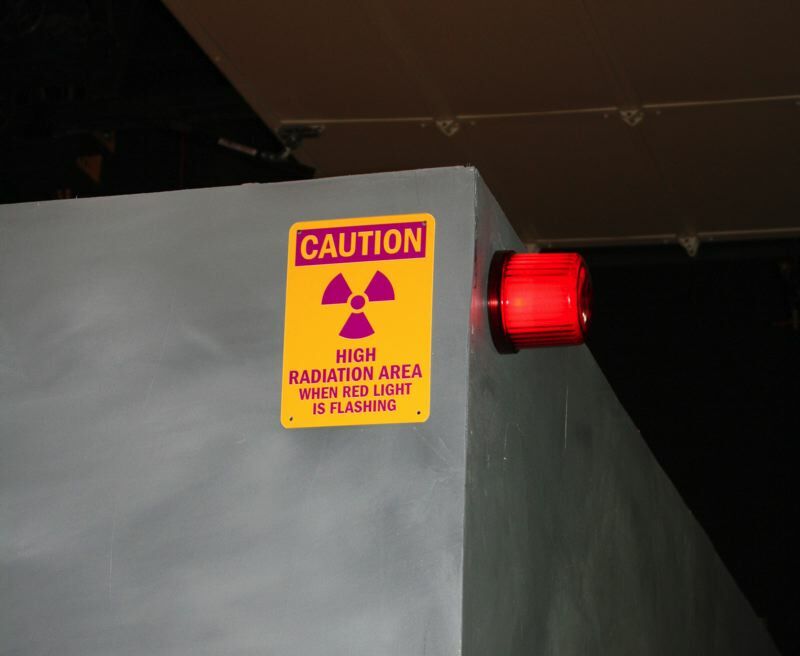 by: POST PHOTO: KYLIE WRAY - Bunsenbrewer's reactor core sets off a red light during high radiation times: happy hour. Hanson has yet to decide on a set happy hour. Eventually, Hanson hopes to add simple pub food to the menu at Bunsenbrewer. He plans to serve favorites such as hummus and pita bread, brats with chips and big soft pretzels with dipping sauces. Bunsenbrewer is open from 11 a.m. to 11 p.m. Sunday through Thursday, and until midnight Friday and Saturday.